Owing to incessant rain since Wednesday, the hillock caved in and the rockslide swept away 16 villagers. Twelve tribals including three children who had taken shelter in a cave to escape from Cyclone Titli died in a rockslide. Four other tribals are reportedly still missing. As per officials, 22 tribals from Baraghara village of Gajapati’s Rayagada block had taken shelter in the cave in their village to escape the cyclone's wrath, reported Hindustan Times. However, owing to incessant rain since Wednesday, the hillock caved in and the rockslide swept away 16 villagers. The district collector of Gajapati was asked to visit the spot to ascertain the situation and give a detailed report, Special Relief Commissioner B P Sethi told PTI. A rescue team, including personnel of the National Disaster Response Force (NDRF), rushed to the area which was ravaged by incessant rainfall. The cyclone had made a landfall on Thursday southwest of Gopalpur near Palasa, said an official. 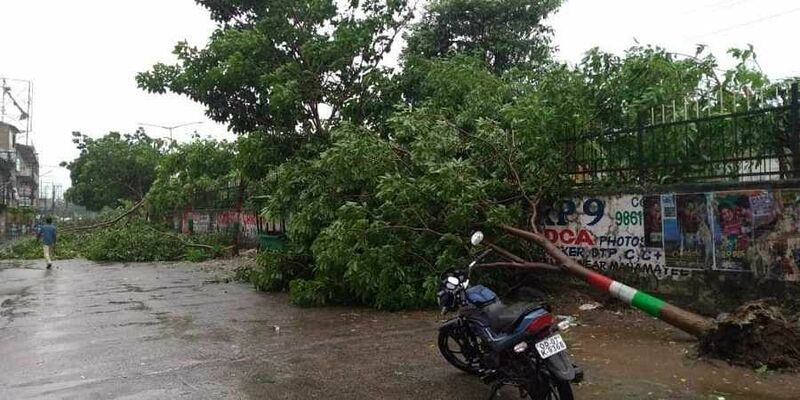 Cyclone Titli, which made a landfall in Odisha on Wednesday wrecked havoc in the state, especially in the riverside villages. Even as the State Government remained preoccupied with the target to ensure zero casualty during the very severe cyclone Titli, it was taken completely unawares by the flash floods which has affected around 38.7 lakh people and rendered thousands homeless. Ganjam, Gajapati and Rayagada districts, which had already been battered by the cyclone, are the worst affected in the floods. Chief Minister Naveen Patnaik reviewed the situation in a video conference with the district collectors of Ganjam, Gajapati and Rayagada. Meanwhile, in Andhra Pradesh, after being hit by the severe cyclone Titli, people of Srikakulam district are now facing floods, with river Vamsadhara, Mahendra Tanaya and River Bahuda flowing above danger mark.